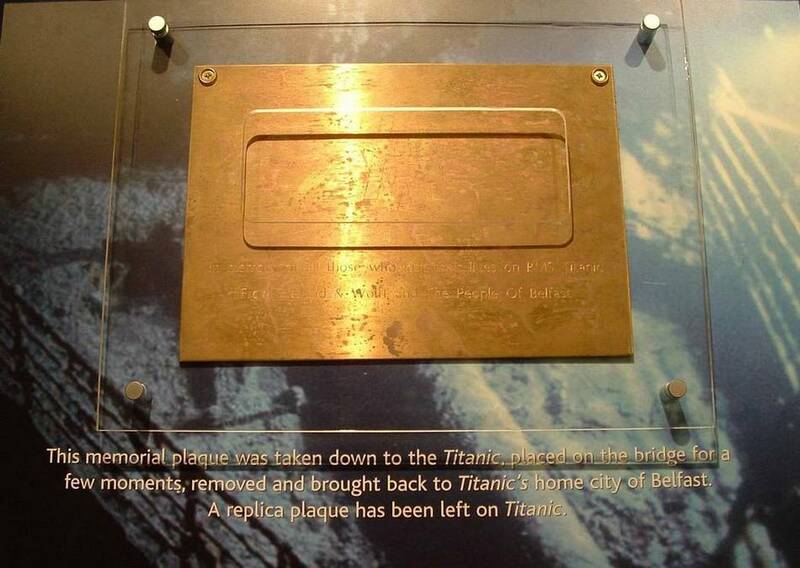 Description: This plaque is one of two which were taken down to Titanic. One was left there where the bridge was, this one was placed there for a few minutes and now has been returned to Belfast. It is on display at the Belfast City Hall as part of the Titanic: Made In Belfast exhibition.